Tune In For Events, Strategies, and Picks! Catch all the action on 60 big screen TVs, all surrounded with comfortable seating, a snack bar, even free cocktail service. 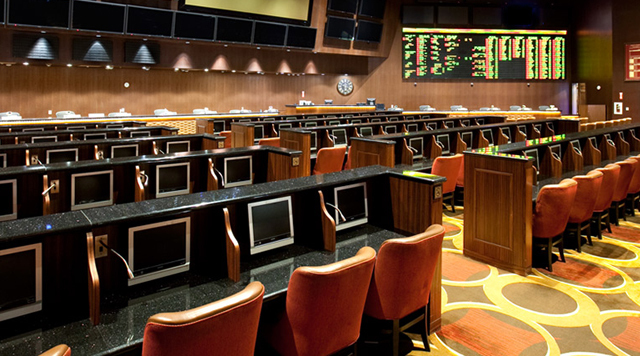 Bet on all your favorite professional and college sports teams or wager on a horse or dog race with our no-limit, pari-mutuel wagering.